Las Vegas officially the most populous city in the US is home to this Virtual Office Las Vegas location. The free standing building surrounded by ample parking is just 15 minutes away from Las Vegas International Airport and can swiftly be reached over Interstate Road 15. A capital for business and finance the city prides itself to be the center of entertainment in the world. If you are doing business locally or even on a national base, a location for your business here is a must. Utilize the executive office space or meeting rooms at your convenience and as always with the virtual office concept, only pay a marginal monthly fee and variable cost as you use the facility. 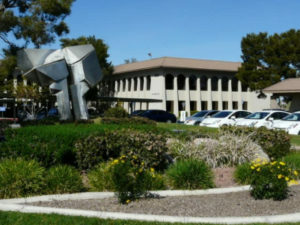 Virtual Office Las Vegas is a true gem in the variety of locations we offer, the location is central and arrival as well as departure is easy. This is what most of our clients demand and makes it automatically a great choice for your customers to visit you too. Our professional staff on side offers administrative support and live phone answering services. You may use these services as your company grows or integrate them into the expansion of your business. The great advantage of using virtual assistant services is that you do not have to hire a full time employee. You never have to carry the burden of payroll management and tax related cost. Sign up online or contact us to visit the location, we will gladly arrange a tour for you.